Box of 42 assorted filled chocolates. Chocolate is really world’s perfect food. 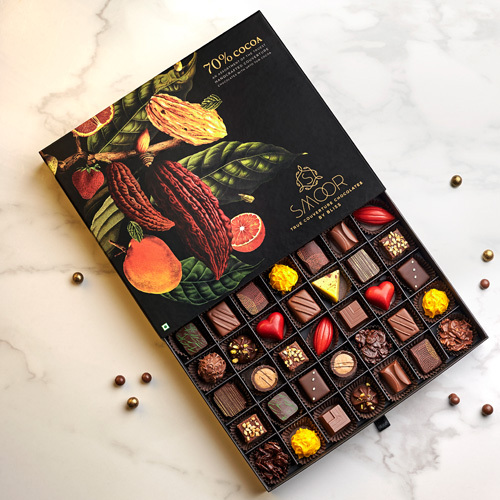 Always gift your friends, colleagues and family those luscious chocolates as people are overjoyed and it becomes a remembrances all through their life. As with most fine things, chocolate has its season. There is a simple memory aid that you can use to determine whether it is the correct time to Order chocolates: any month having festivals and occasions is the proper time for chocolate. 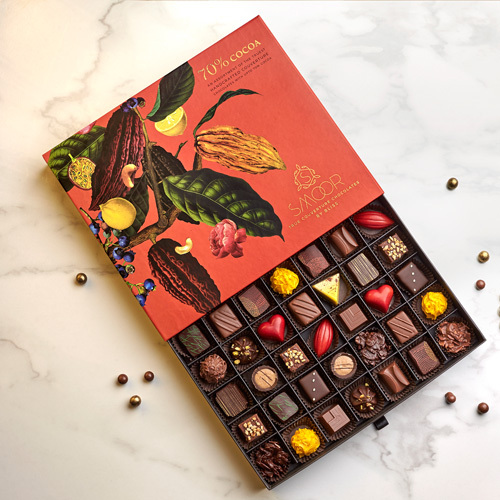 Buy 42 Piece chocolate box online at Smoor. You also get options to customise your gift box with the type of chocolates you desire. Also order for Online corporate gifting in Bangalore. We will deliver you the cakes at your convenient time and place ensuring you a pleasant online experience. Its time you can send your loved ones, a special gift. 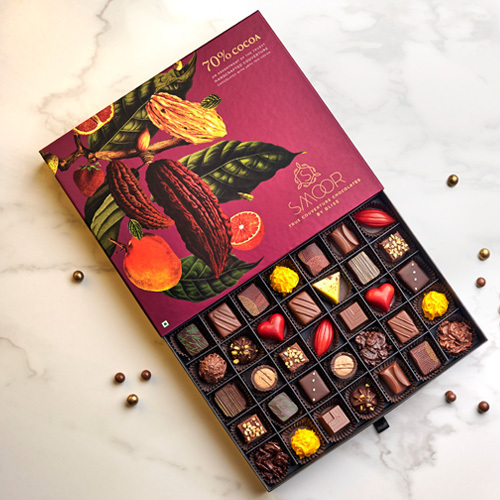 Smoor chocolates is the best one stop destination for chocolate lovers.